The BE-Hive is your go-to for plant based and cruelty free eating. From our retail deli slices, marinated filets and chipotle chorizo - all available in the Nashville area’s two Whole Foods and Turnip Truck locations - to our weekly deli and monthly pop up dinners at the East Room, we’ve been making vegan eating easy and delicious since we held our very first pop up in 2014. From our humble beginnings cooking out of friends’ commercial kitchens and holding dinners at the Wild Cow (a Nashville vegan original) to our new location on Gallatin Avenue in the heart of East Nashville, the BE-Hive has been dedicated to creating delicious new ways to promote, enable and advocate for the Nashville vegan community. Mitchell Deli (sub BE-Hive seitan for any meat! ), and many more. Be sure to check out our Products page for a whole list of places you can find our items on menus and in stores! Our Saturday deli has quickly become a mainstay of the Nashville vegan experience, with a regular menu of classic Italian hoagies, buffalo or barbecue wings, vegan mozzarella sticks, a tangy vegan pastrami reuben, mouth watering chocolate chip cookies and the best vegan donuts you’ve ever tried - to name just a few items. We also feature weekly specials ranging from poke bowls and pineapple salads to pizza bagels to fried chxn sandwiches, and we love taking requests! At the deli, you’ll also find a wide selection of our speciality plant based meats wrapped and ready to be enjoyed at home. 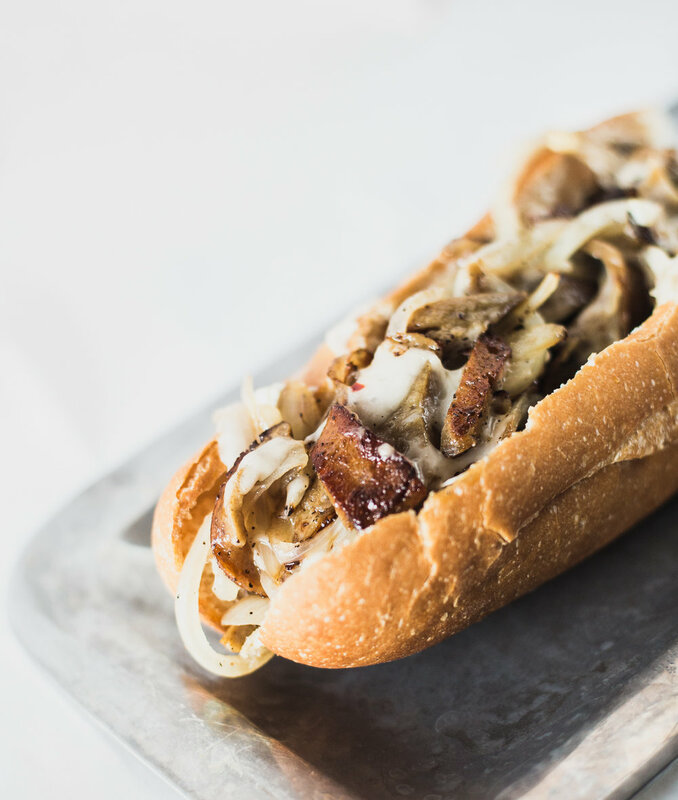 BE-Hive items exclusively available at our deli include pastrami, Italian crumbles, chxn strips, meatballs, bacon, pepperoni, and andouille, jalapeno and pineapple, apple and herb, and Italian sausages. Additionally, we’re proud to offer some of the finest, most carefully sourced edible hemp products in Nashville in our cBEd line. Choose from our hemp tinctures in 0.5 ounce and 1 ounce bottles, hemp-infused coconut butter, or one of our delicious coconut graham cracker cBEd bars or date balls. We even offer a “dope drip” - come see (and taste) what all the hype is about! At the BE-Hive, we specialize in flavorful vegan recreations of some classic carnivore staples. The magic starts with seitan, a low carb, low fat, high protein product derived from the seed germ of the wheat plant. For those tolerant to gluten (the vast majority of the population), seitan’s texture makes perhaps the most convincing meat substitute available. 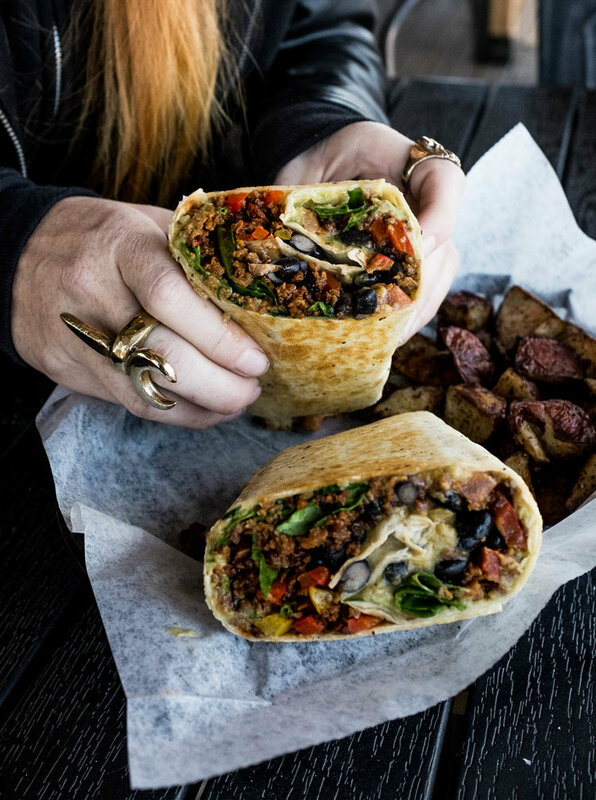 We’ve honed our seitan recipe over the years, adjusting seasonings and ratios for the perfect blend of flavor and mouthfeel. In addition to our world-famous (well, at least for Nashville vegan food lovers) seitan products, we also create creamy vegan mozzarella and other cheeses from coconut, soy and other animal-friendly ingredients. The BE-Hive kitchen is always in “test mode” - any day of the week you might find us trying a new recipes and figuring out exciting, bold and convincing new products. Be sure to stop by our deli on Saturdays between 11am and 4pm, pick up our retail packs at your closes Nashville Whole Foods or Turnip Truck and visit us during one of our monthly pop up dinners at the East Room and get a taste of what everyone is town is raving about - good food for good causes.